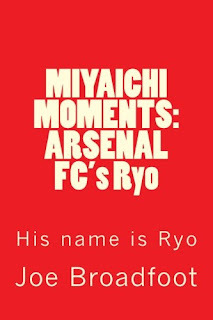 Home/arsenal fc, gedion zelalem, kristoffer olsson, lukas podolski, olivier giroud, ryo miyaichi book, thomas eisfeld, tomas rosicky, zelalem/You thought it was all over…then Arsenal score 3 more! Podolski makes it 5 after a quick 1-2 with Rosicky. Olsson makes it 6, bravely converting a right wing cross. The Swede gets it right, but the local TV company gets it wrong crediting Gedion Zelalem. Well, the German-born Ethiopian has been impressive. What a workout! If you ask me if I'm impressed with Arsenal's fitness levels, commitment and away kit, I would say 'very much so'.